Jamie started his career with Charlton Athletic, progressing through the youth system and earning his first contract in January 1995. He made his League debut at the beginning of the 1996/1997 season, and went on the make some 63 appearances for the Addicks. He also earned two England Under-18, and four Under-21 caps. His time at the Valley came to a premature end in November 1997, when he was found guilty by the FA after testing positive for Class A drugs and he received a six month ban. Although he denied knowingly taking the substances, he was also sacked by the club. Following the completion of his suspension, he joined Millwall in the summer of 1998. In just over three years, he played 53 games for the Lions before being released. Although he had trials with Cambridge United and was set to join Northampton Town, the deal fell through, and he eventually joined Bury in October 2001. He remained at Gigg Lane until the end if the following season and after some 71 games for Bury, moved to Southend United in the summer of 2003 to be closer to his family. After just a single season, he dropped down to the non-league scene, joining big-spending Hornchurch in their bid to get into the Football League. When the club got into financial difficulties, he joined Grays Athletic in November 2004 and remained there for some five seasons, including the time when Justin Edinburgh became manager in January 2007. On 22 September 2007, he created further controversy after an incident on the pitch with Chris Beardsley, which resulted in the York City player receiving a broken jaw. He was later charged with grievous bodily harm, but was later acquitted by the jury during his trial the following September. 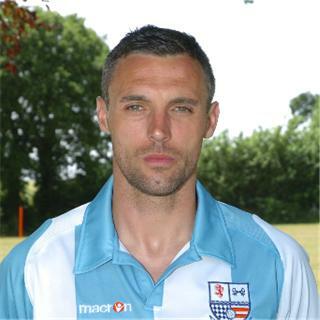 He made 181 appearances, scoring 8 goals before arriving at Nene Park on 30 June 2009 to join up again with Edinburgh on a one year deal to become team captain. He made his Diamonds debut on 8 August 2009 in the 2-0 defeat by Salisbury City at Nene Park, and played 47 games in all competitions during the 2009/2010 season, scoring 4 goals and won the Supporter’s Player of the Season award. He remained at Nene Park for the following season, but left the club on 6 January 2011 after an undisclosed nominal fee was agreed with fellow Conference side AFC Wimbledon. Jamie gained promotion to the Football League with the Dons, and scored their first ever League goal at the start of the 2011/2012 season, but was released at the end of that season. 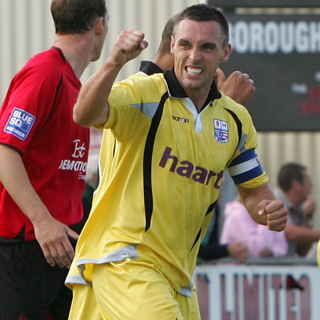 He joined Conference South side Sutton United on 21 May 2012, making 69 appearances for the U’s and scoring two goals. On 19 December 2013, Jamie joined Isthmian Premier side Margate as player/coach, re-uniting with his former Wimbledon manager Terry Brown . He took a Player / Manager role with Grays Athletic in 2016.